I always wanted to try it, and 2 years ago I was looking for something new to do (as I could see that I would never become a world famous surfer) and my friend came across your studio online. That amazing feeling I have after every class, the excitement of learning something new, and of course adrenaline. 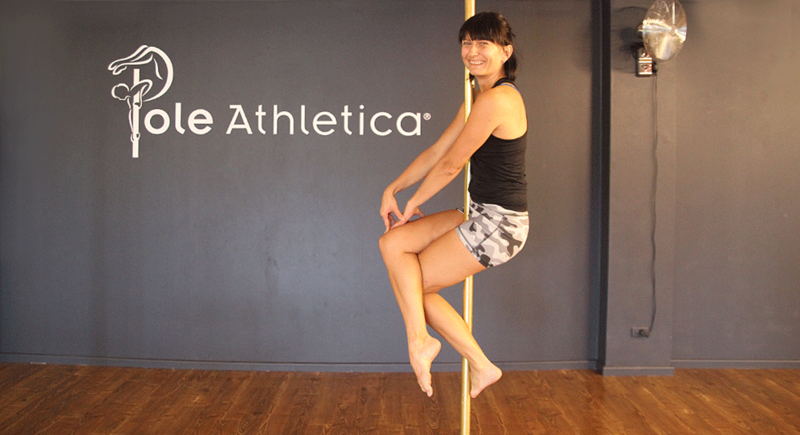 What changes have you noticed in your life since you started pole dancing and Lyra classes? Pole and Lyra classes have shown me that I can do anything at any point of my life. I just need to practice, focus, and maybe get some bruises along the way, but there is a nice posture at the end of it. Amazed. I never thought I would get this far! What is your next goal for pole or lyra? To keep on enjoying it and get better and more confident hanging upside down. It is difficult to choose just one, but I think it is the people; both instructors and other students. Everybody is always in a good mood and happy to help. What are your favourite things about pole dancing and lyra? Have you seen any cross-over benefits from attending both pole dance and lyra classes? 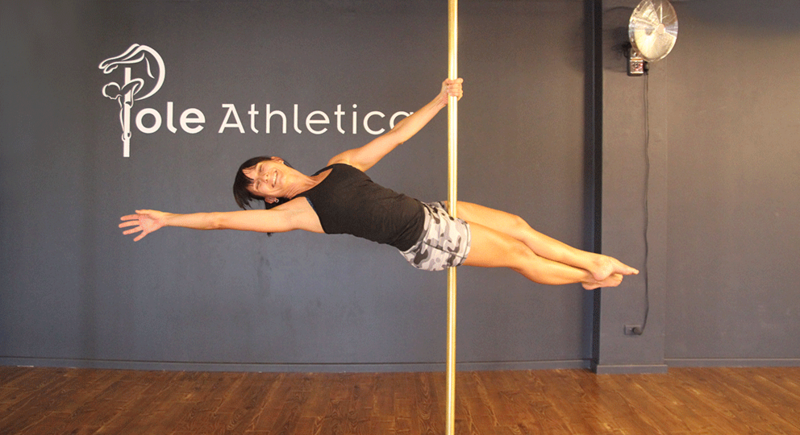 Certainly, I am more confident on pole because of lyra and vice versa. I also attend handstand and stretch classes which really helped me to get more confident hanging upside down and trust my arms- they can carry a lot if they need to. What is the most challenging thing about pole dancing and lyra? Not to compare yourself with others and to understand that it is ok to repeat levels and not to be ashamed of it. Who do you think would benefit from pole dancing and lyra?